Earlier this week, the New York Times “discovered” that Leonard Bernstein had composed for a version of the “Peter Pan” story. Duh. Now, the Wall Street Journal “discovers” that Lenny was quite a gifted pianist. Lesser duh, but still duh. Why the “discovery”? Because “Leonard Bernstein: The Pianist,” a budget-priced 11-CD box set, is just out from Sony Classical. 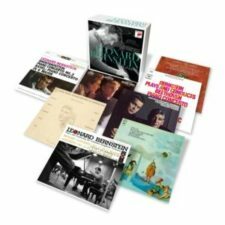 It contains all of the commercial recordings that Bernstein made as a pianist between 1947 and 1974 for Columbia and RCA Victor. Add the set to your Amazon cart.